Bookback from Dodocase is simple tablet skin compatible with the Apple iPad Mini. The skin is crafted from the same Moroccan book fabric the company uses on its DODOcases and HARDcovers. The unique peel and stick adhesive offers a strong hold, but can be reused many times over and leaves no residue if removed. The Dodocase Bookback applies to the back of the tablet and offers an enhanced grip preventing accidental slip outs. Naturally, all ports and buttons of the device remain open to free access. The case is fully compatible with the Apple Smart Cover. Each and every Apple iPad Mini case is handmade in San Francisco with careful attention to every little detail ensuring the best possible quality. 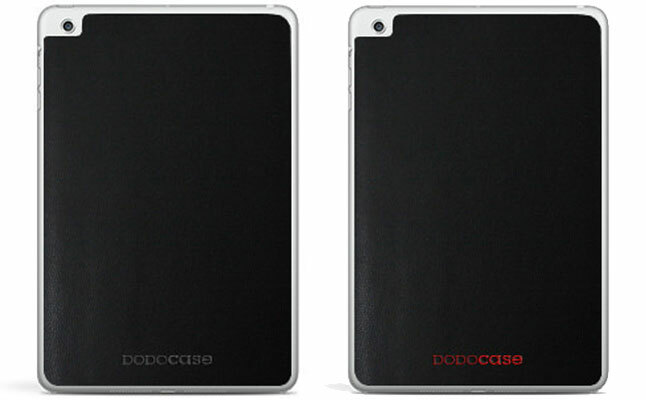 The Dodocase tablet case features the company’s logo debossed with traditional hot foil stamping technique in either black or red color. The price for this case is $19.95.